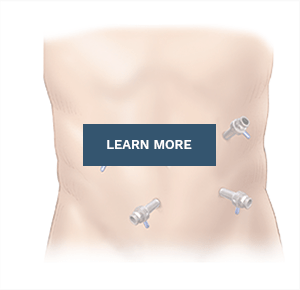 Hernia symptoms vary dramatically from one patient to the next. While some of the hernia symptoms listed below may be present in one patient, another patient may experience no symptoms. Some patients’ hernia symptoms may develop slowly over time while other patients may develop severe hernia symptoms acutely. Many patients ask, “How do I know if I have a hernia?”, “What are the symptoms of a hernia?” and “What does a hernia feel like?”. We hope that below you are able to learn more about the symptoms of hernias. One of the most common symptoms of a hernia is the rapid onset of pain at the hernia site. 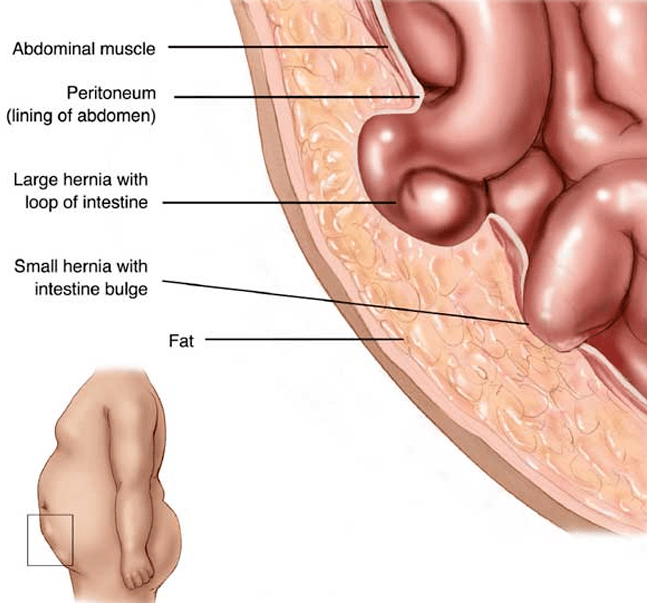 Pain which develops quickly is often caused by extreme pressure on the muscles, the peritoneum, and the nerves in the area of the hernia (see below). As fat and internal organs press through the small hole in the muscle (which is the hernia), the surrounding muscles and nerves are under pressure. This pressure is what causes the acute pain in many hernia patients. This is also why when the hernia is ‘reduced’, or pushed back in, the pain is often relieved since the pressure on the muscles and nerves in the area is reduced. Pain with hernias is also caused by the pressure on the fat and internal organs as they are squeezed through the small hernia hole in the muscle. When the ‘herniated’ fat or internal organ becomes swollen inside the hernia, it can become very painful and difficult to ‘reduce’ back inside. 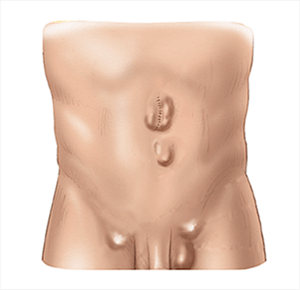 When internal fat or internal organs press through a hole in the muscle, a hernia develops. This is one of the most common symptoms of a hernia. These internal organs and fat cause the skin over the hernia to ‘bulge’ out. 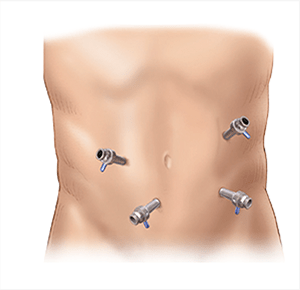 When patients reduce the hernia back inside, often that bulge regresses and disappears. However, when the hernia contents push back through the hole in the muscle, the bulge returns. As long as the bulge is ‘reducible’, it means that the contents of the hernia are able to freely travel back and forth through the hernia defect. Once the bulge is not able to be pushed back inside, the hernia is considered ‘incarcerated’. Meaning the internal organs are no longer able to be pushed back to their original location. 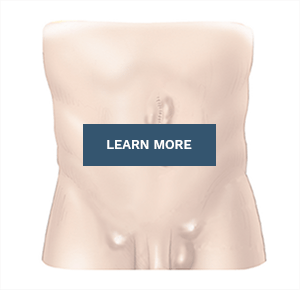 Although a bulge is common, some patients don’t have a bulge as a hernia symptom. Some hernias develop slowly over time and do not develop acute pain as described above. However, as the hernia slowly enlarges it can often cause tension on the muscles and the nerves around the hole. This slow, chronic process, often results in aching, burning, throbbing, and generalized discomfort in the area of the hernia. This pain is different from the acute pain some patients experience in that it isn’t as sharp and intense; rather it’s more of a dull ache which can interfere with everyday activities. When the nerves within the groin get stretched from either an acute hernia, or a chronic hernia, the entire length of the nerve becomes irritated. This irritation in the nerve can cause pain to radiate, or be relayed to areas below or above the actual hernia. In the case of a groin hernia, this can mean pain in the lower abdomen, in the upper thigh, or into the scrotum and testes in men. Despite the hernia being reduced inside, the irritation of the nerves can lead to long standing discomfort in these areas. Even though the hernia is not in the exact area of the pain, it can be the cause of aches, pressure, burning, and other symptoms. Occasionally patients may have ongoing nausea, and sometimes even vomiting, due to their hernia. These symptoms can be mild and intermittent, or can be more severe. When the symptoms are mild, it is often caused by a small portion of the intestine trapped inside the hernia. When the intestine is able to pop into, and out of, the hernia the nausea may come and go. This causes intestinal blockages on and off, leading to nausea and vomiting which comes and goes almost at will. Hernia patients with these symptoms should be seen by a hernia specialist as soon as possible. The most severe symptom of a hernia is strangulation. Strangulation is when a piece of intestine gets trapped inside of the hernia and cannot be ‘reduced’ back into the abdomen. When this happens, the blood supply of that piece of intestine gets compromised which leads to a lack of blood flow to the intestine. Obviously lack of blood flow to the intestine causes severe pain, uncontrollable nausea, and ongoing vomiting. Patients with strangulation often feel a sense of impending doom, and often call 911. Strangulation isn’t hard to distinguish from other symptoms because of it’s severity. Patients know when they have a strangulated hernia. These patients often have surgery on an emergent basis at the hospital. The chances of a normal hernia strangulating is about 1%-2% per year that a patient has the hernia. Thus, although this is a very small chance of strangulation, over the course of 20-30 years, that chance increase more dramatically. This small risk is also why insurance companies agree to pay for hernia surgery even if a patient doesn’t have symptoms, since they do not want the risk of a patient having emergency surgery. Just like patients who develop nausea and vomiting, on rare occasions when a piece of intestine is trapped inside a hernia, the passage of food through that area can be very slow. This can lead to chronic constipation. Although constipation is usually causes by many other diseases, a patient with a hernia and constipation together should be seen by a hernia specialist as soon as possible. When Should I Be Seen For My Symptoms? 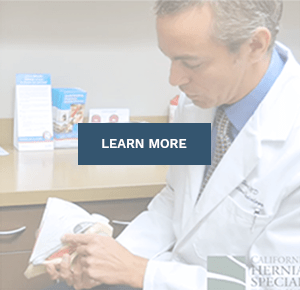 When Should I be Seen for my Hernia Symptoms? 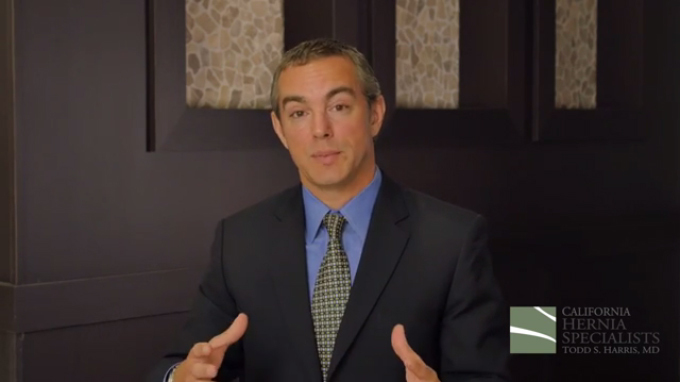 Dr. Todd S. Harris from California Hernia Specialists answers one of the most common frequently asked questions: what should a patient do when they are diagnosed with a hernia? What symptoms prompted you to seek hernia treatment? Past patients from California Hernia Specialists discuss what symptoms prompted them to seek treatment and what suggestions they would give to patients who have a hernia today. 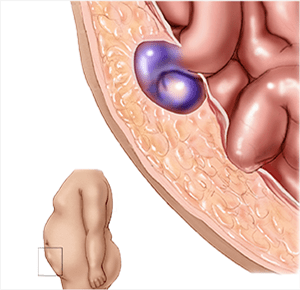 Hernia types are categorized based on where they are located. Is Your Hernia Serious? Schedule a Consultation. 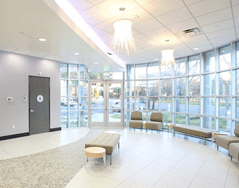 scheduling a visit with us when any hernia symptoms occur.